Last fall, not long before Hurricane Florence ravaged North Carolina, our team at NeedsList was scheming with folks over at MakerDAO on how to allow the deployment of cryptocurrency to support local response to rapid-onset disasters. We launched a fund through which individuals and companies could donate Dai, MakerDAO’s stablecoin soft-pegged to the U.S. Dollar, to aid in disaster relief and preparedness efforts in the U.S. and abroad. To date, thousands of Dai — meaning thousands of dollars — have been raised, half of which was used to purchase items for immediate relief in October. The rest is being set aside to be used as needed for recovery and preparedness efforts for next season. Anyone who has suffered through a natural disaster knows the importance of long-term aid; help is needed long after a hurricane dissipates and the media goes home. 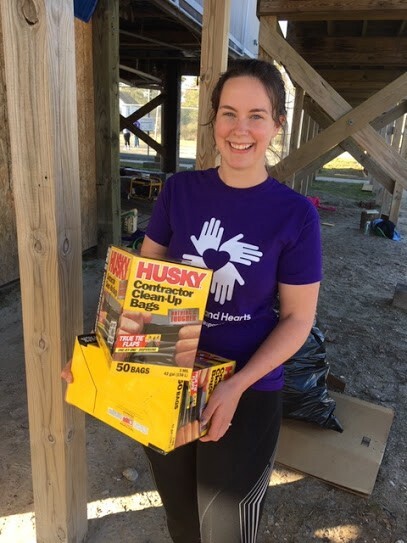 Hana Wilder, Partnership Manager at All Hands and Hearts, distributes clean-up bags in North Carolina. All Hands All Hearts a volunteer-powered disaster relief organization that addresses both the immediate and long-term needs of communities impacted by natural disasters, still has boots on the ground in North Carolina. “It’s been six months since Hurricane Florence hit,” said Hana Wilder, Partnership Manager. Thanks to MakerDAO and other Dai donors, NeedsList facilitated the purchase of hundreds cleanup bags for All Hands, All Hearts. 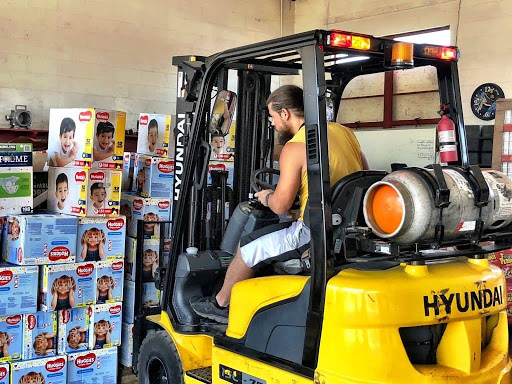 Diapers purchased through NeedsList being unloaded into the Hope Heroes warehouse. When disaster strikes, it’s often the most vulnerable communities that are hardest hit. 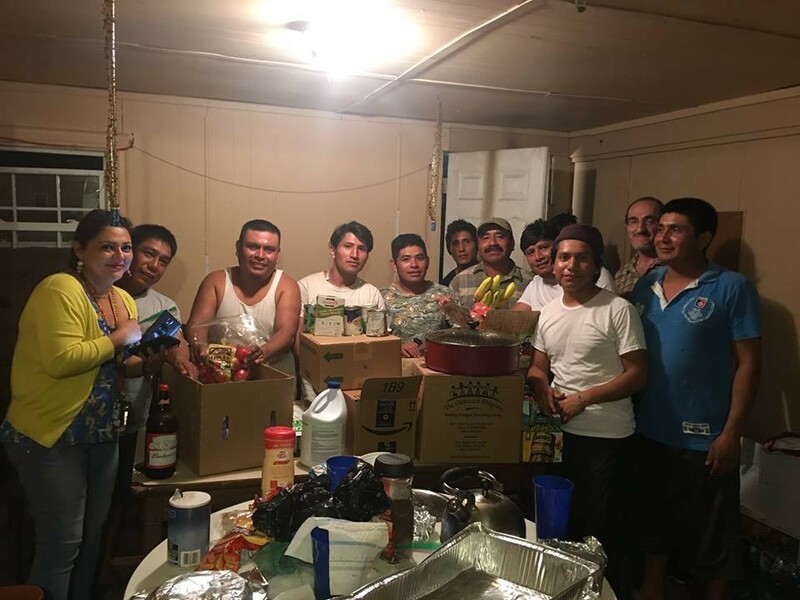 In North Carolina, migrant workers not only suffered severe damage to their housing as a result of Hurricane Florence, but were also left without food and supplies. In this case, crypto donations were used to purchase Walmart gift cards that were distributed to the farmworkers in need. Gift cards allow disaster victims to purchase what they need, affording them both dignity and choice in rebuilding their lives. Laritza Garcón, Director of the Episcopal FarmWorker Ministry in Newton Grove, explains the importance of gift cards to the organization. We can only transform aid and disaster relief with your help. At NeedsList, organizations can contribute not just with crypto, not just with dollars, but with their talent, products, services, and networks. NeedsList is the world’s first marketplace for communities in crisis. We connect you with ways to directly support the most effective organizations providing support to displaced people worldwide. Give global, buy local.